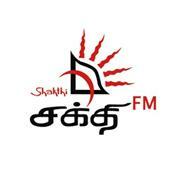 Shakthi FM is one of the popular Tamil Language Sri Lankan Radio Station Online , Word Tamil mean “Power” in Hindi.Tamil Radio Channel available on air 24 hours.It is covering areas of North Eastern Province of Sri Lanka and Jaffna Peninsula.It broadcasts live news , music , entertainment programs. Broadcasting from colombo srilanka , its popular station in region. i hope you will enjoy it listening. It broadcasts many programs which are famous in Tamil community.